While President Trump stayed behind at the White House over the holidays because obstructionist Democrats refused to give any money towards the badly needed wall at the southern border, the rest of the world reeled in the New Year. 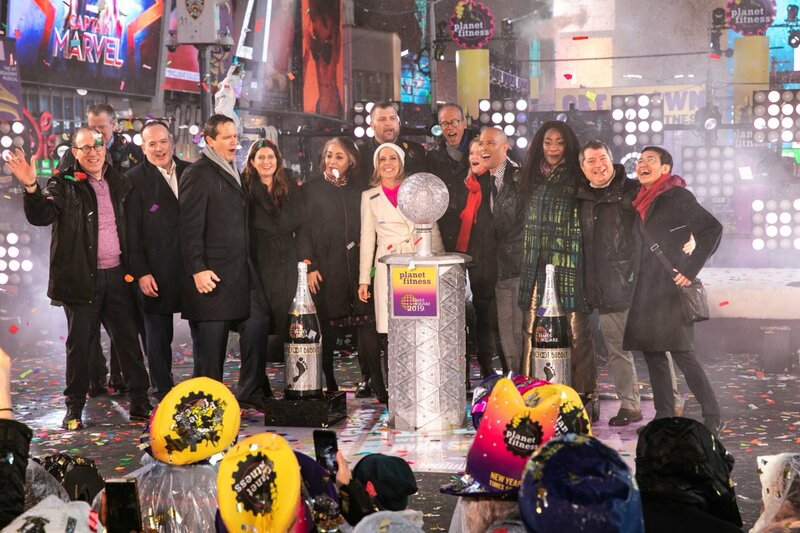 One of the most notorious places to celebrate New Year’s Eve is, of course, Times Square in New York City. And during this festive event – with millions of eyeballs glued to the television, the committee in charge decided to dedicate the celebration to this one insane thing. Unfortunately, members of the liberal mainstream media feel the exact same way, and yet, they took an oath to be objective in their reporting. Trump gets an unfair shake at every corner and the liberal media is unapologetic about their lack of objectivity. This is code for all of those who vehemently oppose Trump, which is a huge slap in the face towards our commander in chief. But it’s the selection of particular journalists that raised eyebrows and shows their true bias. Isn’t it obvious the anti-conservative message they sent to Trump and the rest of the world? There’s no balance. Everyone knows that CNN, The Washington Post and The New York Times pretty much led the anti-Trump bandwagon since he was grinding away on the campaign trail. In fact, when Trump was elected the Washington Post suddenly changed their slogan to “Democracy Dies in Darkness,” which was a direct attack against Trump. Maybe if they didn’t peddle fake news and slanderous opinion articles against him then he wouldn’t have needed to call them out all the time. The only institutions on this list that defend Trump against the liberal mainstream media are Fox News and The Wall Street Journal, which is why they’ve become two of the most respected forms of news reporting in America today. Where’s The Washington Times? How about institutions like The Daily Caller? This lopsided affair is obvious and redundant. Nevertheless, Jon Scott of Fox Report Weekend was thankful for his selection but of all the anchors and journalists at Fox News, why do you think they chose him of all people? The likeliest reason why is because he’s not even close to the most popular anchor on Fox News and they wanted to remain somewhat neutral in their choice, instead of choosing someone like Laura Ingraham, Sean Hannity or Tucker Carlson.